One of the pain points that readers like you tell me they deal with when refinancing their student loans is having to shop a bunch of different lenders for rates. If you like checking one place and getting multiple offers, Credible student loan refinancing could be a great option for you to use. Credible started in 2012. Its founder Stephen Dash is Australian, and interestingly Credible is listed on the Australian stock exchange as a publicly traded company. Don’t let that listing fool you though. Credible headquarters are in San Francisco and it aims to serve as a one-stop shop for millennial lending needs. Student Loan Planner happens to have one of the best referral bonuses to you for refinancing with Credible anywhere. In this Credible student loan refinancing review, I’ll focus on the pros and cons of using Credible to refinance your student loans. That said, know that they want to take over the credit card, personal loan, and mortgage world too. What is Credible and How Can They Help You with Student Loans? If you use Kayak, Expedia, or Google Flights to book airplane tickets, you’ll find a similar user experience with Credible for your student debt strategy. Credible has gone out and added dozens of lenders to their platform, which allows you to enter your info and get estimates of your rates at multiple lenders. 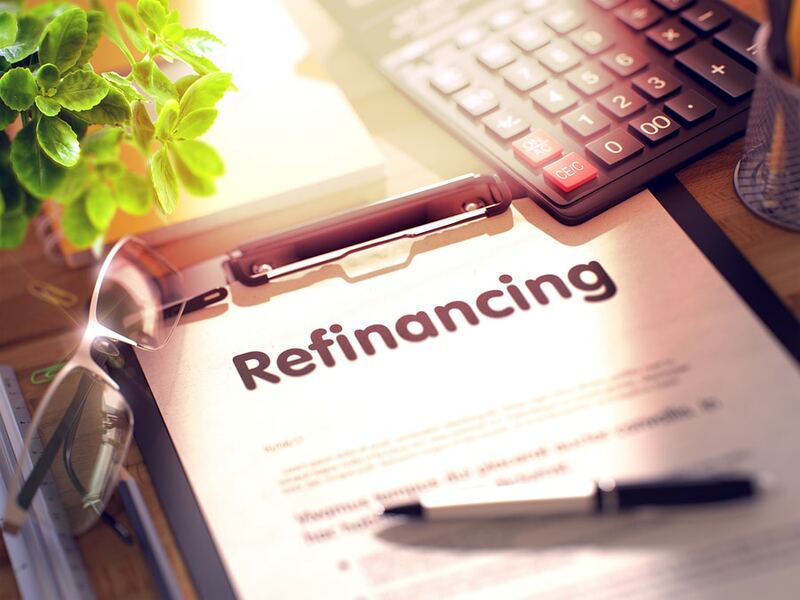 Refinancing allows you to lower your interest rate. That is the main reason you would entertain the idea. If you’re in a stable job with a debt to income ratio below 1.5, refinancing could be a better option than sticking with the government repayment options. For example, a pharmacist at Walgreens making $120,000 who owes $150,000 of student debt would be a good refinancing candidate. In contrast, a family lawyer making $80,000 with $200,000 of student debt would be better off pursuing forgiveness. Assuming refinancing could make sense, Credible asks for your information and passes it to the lenders on their platform. They give you a host of different prequalified rates to choose from. Your goal would be to select the lowest interest rate and continue the application process with the lender you choose on their site. Who Can Refinance Their Student Loans with Credible? You need to have a credit score in the mid-600s as with most lenders. Credible is more flexible when it comes to having a degree, as some of their lenders will refinance your loans even if you didn’t graduate. In my experience, Credible does a good job at finding refinancing options for borrowers who’ve had a hard time qualifying elsewhere. They usually do not show up with the lowest interest rate offers for borrowers with huge incomes and equally large debt loads. One example I had recently was a reader with $80,000 of private student loan debt with Navient. She earned about $60,000 a year but had some difficulties finding a rate with other companies. Credible was able to hook her up with a solid offer through RISLA (Rhode Island Student Loan Authority), one of their partner lenders. If she had not used Credible, there’s no way she would have thought to check her rate through this random small lender. Credible does not make any loans itself. Credible merely provides the technology and website to find offers with its partner lenders. This allows borrowers to easily refinance student loans. In practice, this means a lot of the top lenders on Credible’s platform are places like Citizens Bank, Pentagon Federal Credit Union, Brazos Higher Education, and Elfi. What do all these lenders share in common? They have pretty lousy websites and application processes. With some of these lenders, applying feels like you need to ask your mom to get off the phone so you can get the dial-up internet running again. Credible’s website is the exact opposite. It’s fast, easy, and really works. In about 2 min, you can get rate estimates from multiple lenders. All you need to do is submit info like how much you spend on housing, where your degree is from, and how much you need to refinance, and you’ll get as many as dozens of prequalified offers. You then just select the ones with the lowest interest rate or you sort by the smallest monthly payment. I’ve made plans for about 1,000 student loan borrowers. When we identify a need to refinance student loans, I will often suggest they start their rate shopping process with Credible not because I think they’ll have the best interest rates but rather to show them how to navigate the application process. Their site is intuitive enough that you can apply with them to get an idea of how to shop at other sites. Credible does not uniformly offer unemployment protection like many other lenders do. Ideally, you wouldn’t need that protection, but when companies like Commonbond, Laurel Road, and LendKey offer this protection it’s something to think twice about before pulling the trigger. Another issue with a platform site like this is that Credible is a middleman (technically so is Student Loan Planner). Credible charges a hefty fee to lenders to be present on their platform. That’s their business model is to charge points of a loan when you decide to refinance. For a small lender with good interest rates but a terrible website, this fee could be a fantastic investment. After all, we could be waiting a long time before a regional bank will make its application process millennial-friendly. However, notice that the biggest names in student loan refinancing have chosen not to appear on Credible’s platform. The reason is because of the hefty fees to be on that platform. These bigger players have made the conscious decision that they would rather invest in their own technology and website rather than pay another place for traffic and application volume. Because many of the biggest lenders do not pay to be on Credible’s platform, they can’t be considered a one-stop shop for student loan refinancing in my opinion. They have great customer service, an easy application process, and offer rates from multiple lenders, but most of their volume comes from the three largest lenders on their platform according to their public reports. I get a general idea of how good each lender is at providing great deals to my readers, and Credible is solid but is in the middle of the pack. If you’re a borrower with a high income, you’re more likely to get a lower interest rate elsewhere. However, if you’re struggling to get access to a lower interest rate, you really need to make Credible a top priority in your search. As much as the lenders want to claim that their refinancing process is different or somehow better, student loan refinancing is a commodity. The number one thing that matters is how low your interest rate is. Perhaps second is customer service, third is borrower protections. Given the low interest rate is the main objective, you owe it to yourself to shop at least three lenders if you’re looking to refinance your student loans. Credible’s algorithms try to predict what rates you’ll qualify for, but they aren’t always correct. This is true of every lender. They’ll give you a prequalified estimate. However, to get a finalized offer you need to submit to a hard credit check. These finalized rates are sometimes higher than the initial offers because of something they find out about you in the hard credit check. Just expect this and know it’s par for the course when refinancing student loans. More often than not, Credible’s prequalified rate estimates will line up with what they quoted you. If you need to secure a private student loan for school, Credible’s process is actually significantly more differentiated than their student loan refinancing option in my view. Refinancing is a lot easier to understand and more companies are involved in that space. That means the terms are more commoditized and fierce competition results in super low rates and low margins too. Private student loans for funding school on the front end often carry origination fees, scary borrower terms, and no protections for income-based repayment like with the federal system. The advantage that Credible offers is searching multiple private student loan lenders at once similar to their student loan refinancing process. If I wanted a way to avoid taking out Grad Plus loans at a 7.6% interest rate with a super high origination fee of over 4%, I would search Credible for alternatives. Can I apply with a cosigner? Yes, and some lenders will allow a cosigner release once you’ve made a certain number of payments. How long does it take to get a prequalified rate with Credible? Generally, no more than 2 minutes. I’m actually very excited that Credible is getting involved in more lending products than just student loans. This space is dominated by a few big companies like Lending Tree that extract big profits to list lenders on their websites. Credible’s main priority right now is to grow its mortgage marketplace. They have a lot of data on borrowers and have learned how to run a high-quality loan application funnel, so this makes sense. Time will tell if Credible will be able to compete, as they have a high cash burn rate and other players in the mortgage space have market capitalizations in the billions of dollars. My bet is that they push down margins in the mortgage arena, which will be good for consumers. I don’t have anything against mortgage brokers, but one time I went to one of their houses and it was a veritable mansion. My guess is there are a lot of profits sitting in this industry waiting to be competed away. Credible has a nice personal loan platform. I’d highly suggest it if you have credit card debt at high interest rates that need to be consolidated. I would beg you not to use a personal loan to fund big purchases like many Americans do. The last piece of their business that Credible is trying to expand is credit cards. I still visit other sites for this personally as credit cards are a side piece of what Credible does rather than a primary focus. It’s an area to watch though. If you apply through our Credible bonus link you’ll get tagged to receive a large cash bonus if you fund a student loan with one of their lenders on their site. If you’ve already applied, you might need to create a new application with a new email to get tagged properly. This bonus tends to change often, so check out the main refinancing page to see what it is currently. I’ve seen the bonus at $300, $500, $550, and even $1,000. I think they sometimes will increase or decrease it to meet certain internal targets for loan origination. Since you can refinance as often as you can get a lower interest rate, you might as well take advantage of this cash back bonus opportunity if refinancing is in your best interest. Any experience using Credible student loan refinancing? Share your experience in the comments!